Provide comfort for the family of Margaret "Peggy" Sanderson with a meaningful gesture of sympathy. Margaret “Peggy” Maye Sanderson, 74, of Olathe, KS, passed away Jan. 12, 2019 at Westchester Village of Lenexa. Visitation 10:00 to 11:00 am on Mon., Jan. 21, 2019 with a Memorial Service at 11:00 am all at Garrett Chapel at College Church of the Nazarene, 2020 E. Sheridan, Olathe, KS. Inurnment at a later date in Holton Cemetery, Holton, KS. Memorial contributions may be made to Nazarene Compassionate Ministries. Condolences may be left at www.brucefuneralhome.com Arrangements: Bruce Funeral Home, Gardner, KS (913) 856-7111. Peggy was born April 6, 1944 in Fairfield, IA to Clara Maye (Thompson) and William J. McConnell, Jr. She grew up in Iowa where she graduated from Mediapolis, IA in 1962. Peggy earned her BA from the Univ. of Iowa. She married Glen Sanderson on Dec. 17, 1966 in Mt. Vernon, IA. After marriage they moved to Holton, KS and then retired in Versailles, MO. Peggy received her Master’s from Kansas State. She was an elementary teacher in Iowa and a special education teacher in Holton, KS from which she retired. Peggy was a member of Eldon Church of the Nazarene, Eldon, MO and the Quilters Guild, Stover, MO. She enjoyed her Women’s Bible Study, her church in Eldon, MO, oil painting and machine embroidery. She will be dearly missed by family and friends. She was preceded in death by her parents and husband, Glen. Peggy is survived by her daughter, Kristi Sanderson, Olathe, KS; sons: Eric and wife Monica Sanderson, Oklahoma City, OK and Dean Sanderson; three grandchildren: Holden, Esther and Ashton and brother, William McConnell, III, Memphis, TN. Priscilla Climes sent flowers to the family of Margaret "Peggy" Maye Sanderson (McConnell). My sincere condolences may the God of comfort and loved ones continue to be with you during these difficult days (2Cor 1:3 4). 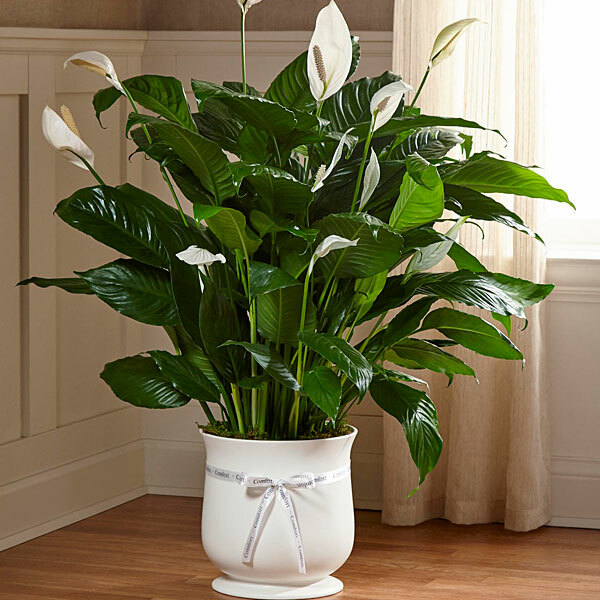 Priscilla Climes purchased the The FTD Comfort Planter for the family of Margaret "Peggy" Sanderson.